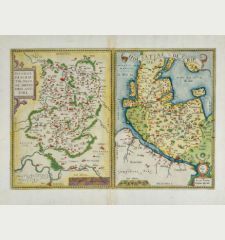 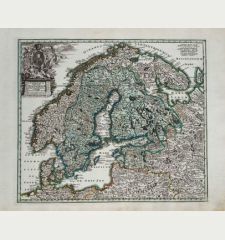 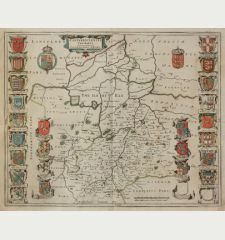 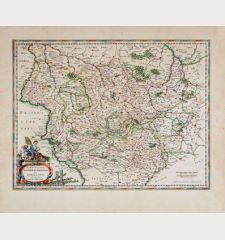 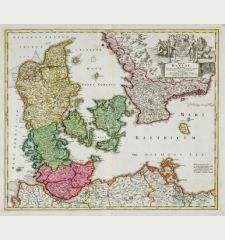 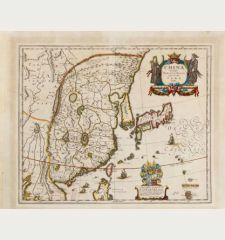 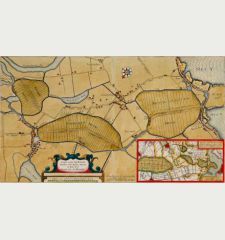 Antique map of southeastern part of Denmark by J. Blaeu. 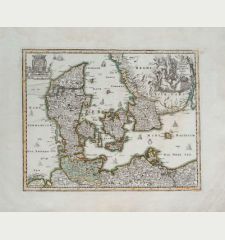 Shows the islands Lolland, Falster and Møn with the southern tip of Zealand (Sjælland) in the Baltic Sea. 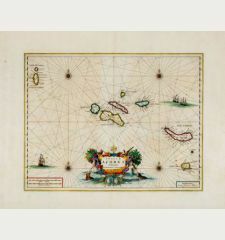 Decorated with two beautiful cartouches and five sailing ships. 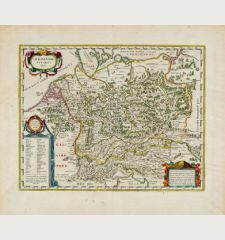 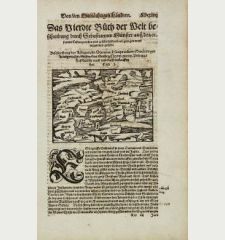 From the German edition of the Atlas Major of 1667. 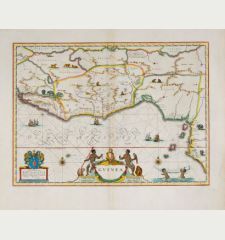 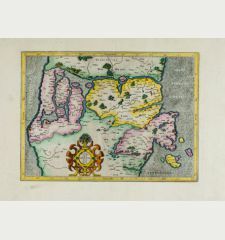 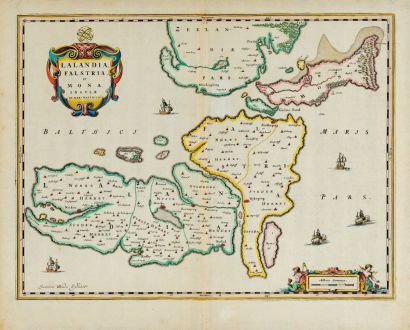 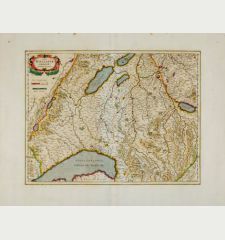 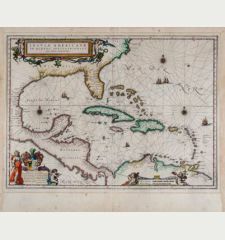 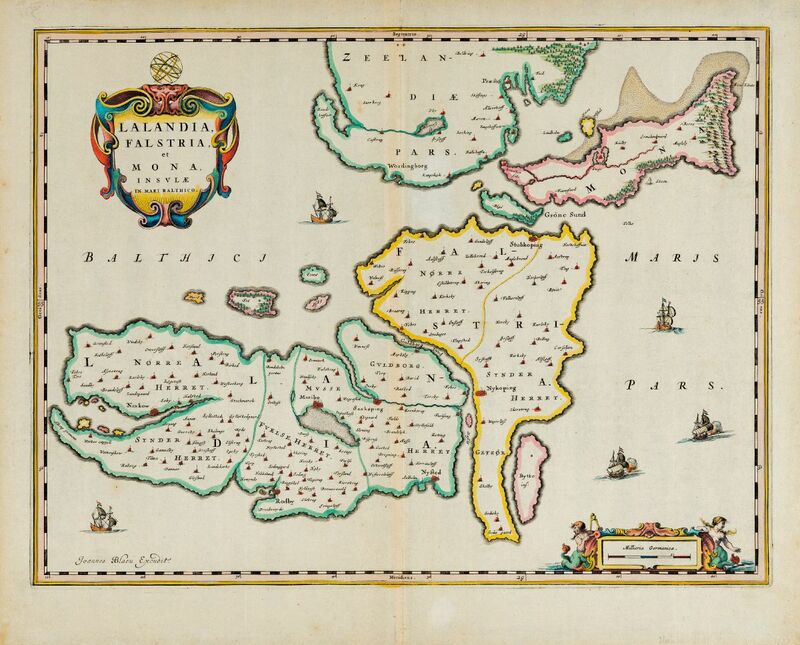 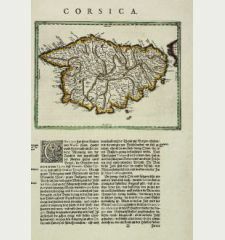 Willem Janszoon Blaeu: Lalandia, Falstria et Mona Insulae in Mari Balthico.